Ivoryton: It’s the dog days of summer but in Ivoryton, August is kicking its way through the heat in feathers, glitter and six inch heels! LA CAGE AUX FOLLES, the smash hit Broadway musical opens in Ivoryton on August 6th and runs through August 31st. Written by Harvey Fierstein, Jean Poiret and Jerry Herman, the original 1983 Broadway production received nine nominations for Tony Awards and won six, including Best Musical, Best Score and Best Book. LA CAGE was later turned into a popular movie, The Birdcage, starring Nathan Lane and Robin Williams. After twenty years of un-wedded bliss Georges and Albin, two men partnered for better-or-worse get a bit of both when Georges’ son announces his impending marriage to the daughter of a bigoted, narrow-minded politician. Albin tries to help by making a perfect family with hilarious results. Further complicating the situation, Albin and Georges run a drag nightclub in St. Tropez, where Albin is the star performer ‘Zaza.’ Georges reluctantly agrees to masquerade as “normal” when he meets the family of the bride-to-be. But Albin has other plans, with hilarious results. The show features some beautiful songs by Jerry Herman including I Am What I Am and Song on the Sand, and some hilarious situations. But, more than anything else, LA CAGE is an old fashioned love story wrapped in feathers, sprinkled with glitter and tied with a bow. This wild and warmhearted farce about the importance of nonconformity and being true to oneself will appeal to audiences of all ages. The set is designed by Cully Long, lighting by Doug Harry, wigs by Liz Cipollina and costumes by Njaye Olds. 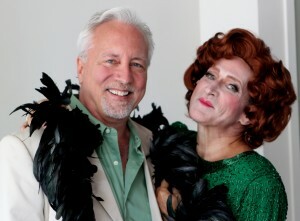 LA CAGE AUX FOLLES opens in Ivoryton on August 6th and runs through August 31st. Performance times are Wednesday and Sunday matinees at 2pm. Evening performances are Wednesday and Thursday at 7:30pm, Friday and Saturday at 8pm. There are 2 extra matinees for this show on Saturday August 16th and 23rd at 2pm. Tickets are $42 for adults, $37 for seniors, $20 for students and $15 for children and are available by calling the Playhouse box office at 860-767-7318 or by visiting our website at www.ivorytonplayhouse.org (Group rates are available by calling the box office for information.) The Playhouse is located at 103 Main Street in Ivoryton. 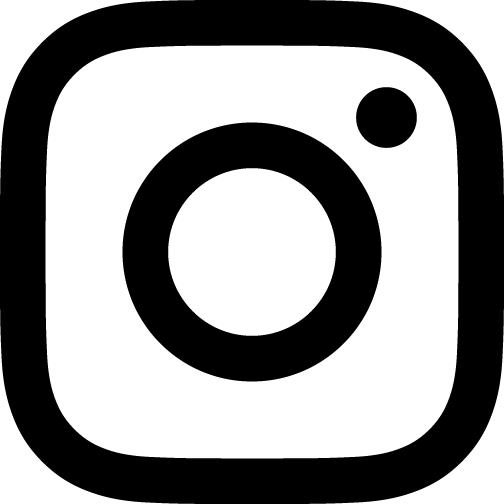 The Ivoryton Playhouse continues an August full of fun with two more programs geared towards children! The Ivoryton Playhouse Intern Company presents Cucumber Phil on August 15th. Cucumber Phil is the finest cucumber farmer in all of Cucumber Valley. His life with his somewhat goofy cucumber-growing friends is perfect. Then Artichoke Annie shows up and wants to grow something different. Can Phil be friends with Annie and keep his old friends? Or will he choose to join them in driving Annie away? And what does all of this have to do with Buster the Evil Pig? 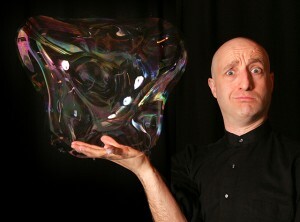 And finally, back by popular demand, Casey Carle’s Bubblemania is on stage August 22nd. Casey performs tricky undulations, manipulations and juggling with bubbles. An extremely unique program combining high energy entertainment with artistic achievement, BubbleMania is loaded with visual comedy, quick wit, big band swing music and the untamed, often unbelievable qualities and beauty of spherical liquids. Casey’s creations grow from intricate and imaginative bubble artforms to “trapping” people inside bubbles! This is a bubble show to keep the 5 to 75 year-olds mesmerized and it always sells out. Come early and get a glitter tattoo! Z’s Face and Body Art will be at the Playhouse from 10:15am ready to give you a little sparkle! Tattoos are very reasonably priced and last for ages! Many designs available. Call 860.767.7318 or click here to book your tickets online. The reviews are in – ALL SHOOK UP is “a special treat…an all-smiles evening”! This seems to be the season for rock and roll nostalgia. There’s “Hairspray” at the Summer Theatre of New Canaan, “The Bikinis” playing at Long Wharf, and now “All Shook Up” out at the Ivoryton Playhouse. The good news is, you’ll have an enjoyable evening of theater no matter which of the three you attend, but if you opt for the Ivoryton show, you’re in for a special treat in the form of the two delightful leads, Danielle Bowen and Preston Ellis, two fine young actors whom you will have absolutely no trouble watching. Complications abound, exacerbated by the obligatory disguise of a young lady posing as a young man named Ed who attempts to woo the sensuous Miss Sandra (a delightfully lustful Mara Jill Herman) for Chad. Miss Sandra is also being pursued by Natalie’s father, Jim (R. Bruce Connelly), while Dennis is pursuing Natalie, while Sylvia (Onyie) is pursuing Jim, while the taciturn Sherriff Earl (Larry Lewis) is silently pining for Mayor Matilda Hyde (Melissa McLean) and the mayor’s son, Dean (Logan Scott Mitchell) is tentatively making overture’s to Sylvia’s daughter, Lorraine (Danielle Famble). Well, you get the picture. Of course, it all works out in the end with multiple marriages and everyone proclaiming their “Burning Love” for their new mates. Backed by seven musicians ensconced in a pit hidden below the stage, the entire cast, including the male and female ensembles, nails one Presley song after another, with “One Night With You” used as a recurring, comedic theme. However, as noted above, it’s the two leads that give the extra juice to this production. Ellis, a seasoned pro, gives his character just the right mix of sneer, bravado and joie de vivre – think Marlon Brandon with manners. He also has great timing and a strong comedic sense about him. Playing against him is Bowen who, amazingly enough, is only a rising senior at Emerson College. Based on her performance you certainly couldn’t tell that she hasn’t yet graduated. Whether she is playing the grease monkey, or Ed with a two-day-old beard as a disguise or, finally, the lovely Natalie, she is a delight. She may not steal the show – that crown goes to Herman – but she doesn’t have to, because from the moment she walks on stage she steals the audience’s heart. One can only hope that once she graduates she will find her way back to Connecticut to grace one of its many stages…before Broadway grabs her up and doesn’t let her go. So, if you’re an Elvis fan, or just want to enjoy an all-smiles evening of summer theater, get yourself out to Ivoryton. Yes, you’ll be “All Shook Up,” and will sense “The Power of Love.” You’ll have to pledge to “Don’t Be Cruel” and be challenged to “Follow That Dream,” question why “Fools Fall in Love” and, once again, acknowledge that we all, at one time or another, “Can’t Help Falling in Love.” In other words, you’ll have a good time. “All Shook Up” runs through July 27. For tickets or more information call 860-767-7318 or go to www.ivorytonplayhouse.org. Check out our new video clip for “All Shook Up”!